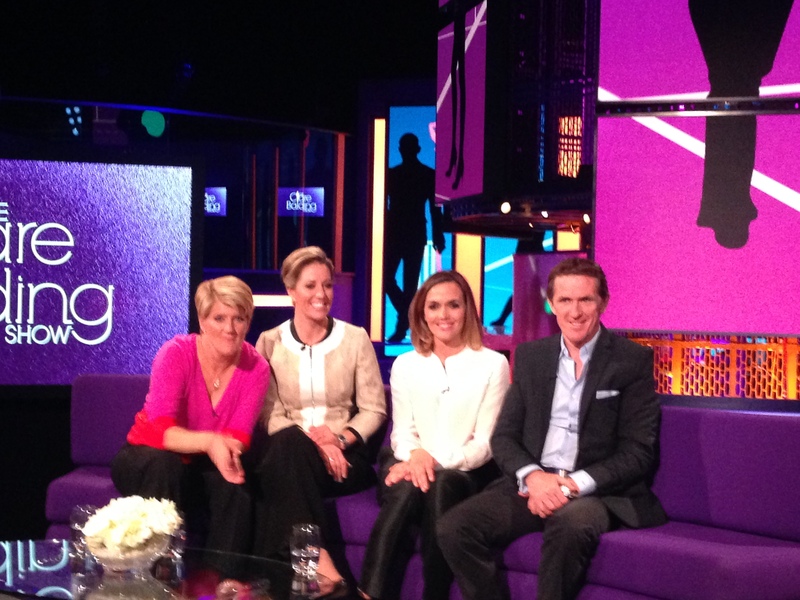 On Tuesday, I was lucky enough to go to watch the filming of the Claire Balding Show. She was interviewing dressage world champion, Charlotte du Jardin – my heroine. She also had AP McCoy – the most successful ever jump jockey, and Victoria Pendleton – gold medal cyclist, who is now also training to be a jump jockey. I’ve never been to watch a TV show before, so I wasn’t sure what to expect, but we had a fab evening and it was fascinating to listen to people at the very top of their game about what motivates them, what their frame of mind is and how they get to the top. It was truly inspiring to listen to Tony McCoy talking about 20 seasons as champion jockey. I don’t like horse racing, but the tenacity, drive and, as he said, pure stubbornness that is needed to be that incredibly successful is something that I don’t think many people in the world have. And Charlotte, to have trained to the degree that she has, in order to form such a stunning bond with her horse, was also inspiring. I used to compete at dressage at a local level (if you saw my tests compared to hers, you probably wouldn’t realise we were participating in the same sport, mind you), so I have a small idea of the level of work and training that goes into competing with a horse. She has been one of the most successful riders ever and I cannot imagine how hard she must have worked to get there. Having just won the world championship in Las Vegas again, I was a little bit in awe to say the least. And of course, Victoria – who despite having retired from cycling has taken up a huge new challenge, which is totally alien to her and to have the dedication to attempt the enormous feat of racing at Cheltenham, just a year after she rode a horse for the first time was… You guessed it, inspiring. It just shows you how much of our journey in life is about your mental attitude, your refusal to fail and your incredibly hard work to get you where you want to be.